You may have seen my recent post on Bubble Dough; while I was making that I was curious to see what washing up liquid [dish soap] would do when mixed with plain white flour. To my amazement what it did was to turn into a wonderful soft playdough. This literally takes a minute to make. Add 1 cup of regular flour, and a couple of squirts of washing up liquid (dish soap) - add gradually to the flour and mix and knead until you get the desired consistency. The other reason I love it is because it has no salt in it does not dry your hands out, and it smells lovely too. 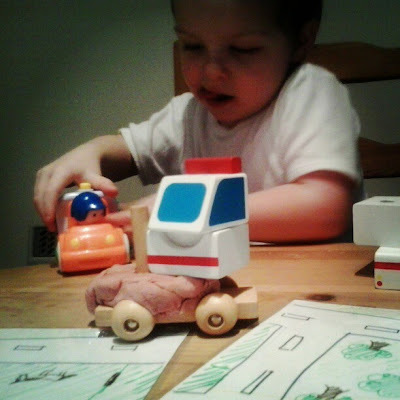 :) I think we're going to be making this a lot, a playdough session never fails to help with a stressful day, or to unwind at the end of a busy day, or just for fun of course! I urge you to try this; its so easy and so much fun. great idea! just pinned this to remember to do this week! thank you! wonder how long it would last comparing to koolaid playdough? Did you add any water? I'm in the states and using a different dish soap and can't seem to get it to form. How much did you end up adding? nope, no water at all. Probably to a cup of flour, 2 generous squirts. I tried a little (Costa Rica) with granddaughter and worked fine. When I took the materials to Science class didn´t work fine...kids enjoyed the process but at the end we did an enormous ball and painted it as planet Earth. Seems to stick to hands but not to other balls. We had free days because Obamas visit, I will see how the planet dried tomorrow. definately going to try this, thanks! i need to make playdoh, but was out of cream or tartar which is a little pricey, so this would be awesome!! My bubble dough crumbled when used! What did I do wrong? Love it! Love it! What a great idea! I will have to try it! Great idea- will be trying this :) Off to pin now! 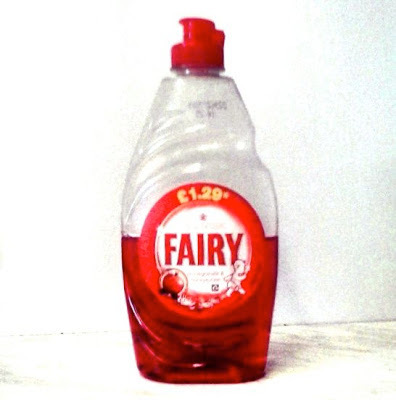 I used plan flour and the fairy liquid as shown in the picture. When you say it didnt bond, what do you mean? Did you knead it together? ooooh very coo idea. I must try this. Just found your blog and love it!! 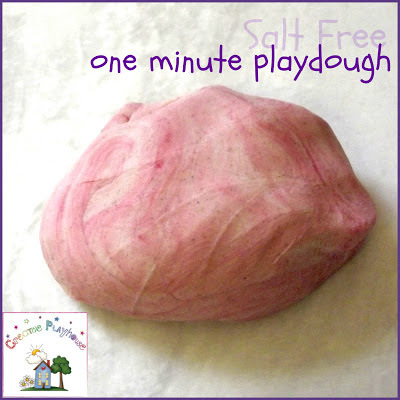 I'm going to share it on my facebook page, PlayfullyLearning and try some of these dough recipes. Just wanted to let you know: I tried it and blogged it, here: http://missnightmutters.com/2013/03/trial-run-one-minute-playdough.html. It wasn't quite like regular playdough, but it worked, I and I would TOTALLY make it with my class. I think they would love to choose from a variety of colours of soap... Thank you for the inspiration! Awesome! So going to try it! I'm in the USA and I tried it using Dawn dish detergent. I'm guessing the dish soap in the UK is more liquidy maybe. But mine did work! I just had to add a little more detergent than described here. I also added some vegetable oil, which made it more flexible! how can we harden it permanently?